Our family loves eating pizza and we usually make it weekly. With three out of four of us not being able to eat cheese we’ve been making our pizzas homemade for years. The reason I love making pizza from scratch is you can customize it for your family. Our daughter loves pepperoni so we top hers with some of that and mushrooms, olives, peppers or spinach. What an easy way to get whole grains, vegetables and protein into one meal. Plus you can serve it with a side of cooked veggies or cut up fruit. My critique of a good pizza often comes back to how good the crust was. The thinner and crispier the better and nothing is better to me than Wells Brothers Pizza in my hometown (Racine, Wisconsin). The crust is thin, crispy and delicious. Having homemade pizza with the perfect crust can be hard to come by. I have tried a lot of brands of pizza dough on the market and have found a few new obsessions worth sharing. One pre-made crust, one dough you roll at home and two recipes to start from scratch. I’ve found now that I’m at home with the kids I love making dough from scratch. The kneading is rather therapeutic mostly on days when our 2 1/2 year old is extra feisty and the rolling and assembly is a great way to get kids in the kitchen cooking with you. Plus, the end results are a win for everyone. Yum, yum, yum. Why I love them: They are super thin crust, come in a two pack and are made from sprouted whole grains which are higher in protein, have a lower gylcemic index and are said to be easier to digest. Check out all the types of grains on their ingredient list: Whole sprouted grains of red wheat berries, quinoa, oat groats, rye berries, barley, amaranth, and millet, water, wheat flour, sunflower oil, vital wheat gluten, 100% domestic honey, oat fiber, cultured wheat, salt, molasses, yeast. This has always been a staple for us for grilled or baked pizzas. They have a regular, whole wheat and garlic & herb crust choice. Personally, I love the added flavors in the garlic & herb one for a classic pizza creation. The other two are great choices when it will be topped with lots of flavors. I received the Seriously Delish cookbook from Jessica Merchant’s How Sweet It Is blog for Christmas from one of my best friends. I love getting knew cookbooks and this one has been a big hit so far. Included in the book is the authors favorite pizza crust and a 100% whole wheat version of her favorite pizza crust that I have made with the help of my little sous chef and will definitely make again. Combine water, yeast, honey and olive oil in a large bowl. Mix together with a spoon and let sit until foamy (~10-15 minutes). Add 2 1/2 cups of flour and the salt, and stir with a spoon until the dough comes together but is still sticky, Using your hands, form the dough into a ball and work the additional 1/2 cup flour (you don’t need to use all if it is not needed) into the dough, kneading it on a floured surface for a few minutes. Rub the same bowl with a few drops of olive oil and place the dough inside, turning it over to coat. Cover the bowl with a towel and place in a warm place to rise for ~1 1/2 hours. Once the dough has risen, punch it down and remove it from the bowl. Place on a floured counter and, if it is sticky, knead a few tablespoons of flour into it until it is silky smooth. In a large bowl, combine water, yeast, honey and olive oil. Mix with a spoon, then let sit until foamy, about 10-15 minutes. Add in 2 cups flour and salt, stirring with a spoon until the dough comes together but is still sticky. Using your hands, form the dough into a ball and work in the additional 2/3 cup flour, kneading it on a floured surface for a few minutes. 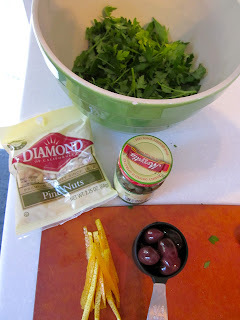 Rub the same bowl with olive oil then place the dough inside, turning to coat. Cover with a towel and place in a warm place to rise for about 1-1 1/2 hours. I don’t know how to put in words the deliciousness that is this soup! YOU HAVE TO MAKE IT!! My mom found the recipe in her Madison magazine and it sounded perfect from the start since I love soup and it has some of my favorite ingredients: coconut milk, ginger and sriracha (well it called for hot sauce but my mom used sriracha). My mom, Ryan and I have almost eaten the whole batch in three days and we can’t wait to make it again. We made it with a big kick of spice which went perfect with the caribbean flavors. I HIGHLY recommend you make it. It’s light, flavorful and filled with healthy beta-carotene. I’m speechless it was so good…Delish!! Peel and chop carrots into large pieces. Coat in about 2 tbsp oil and 1/4 cup stock. Place on parchment and roast at 400 degrees for about 45–60 minutes until carrots are fork-tender. While carrots are in the oven, chop onion and garlic and grate ginger. In the bottom of a large enameled pot, add 3 tbsp oil and saute garlic, onion and ginger until onions are translucent. Add curry powder and bay leaf and sauté about 1 minute. Add roasted carrots and 1 quart broth and let come to a simmer. Pour in remaining stock and bring to a simmer again. Add coconut milk and remove bay leaf. Use immersion blender to puree soup, adding stock to thin to desired consistency. Add salt, pepper and hot sauce to taste. Serve hot with chopped cilantro. You may be wondering if I stopped cooking now that I’m working and a mom. The answer is no, I still cook. The problem is I don’t have time to post all the things I make. Tonight though our daughter had a great evening eating dinner with us followed by a 7pm bath which meant I had time to prep a salad for a work pot luck tomorrow and post about it. I decided to try a new three bean salad. My first impression is that I like it but I want to see how it infuses over night. 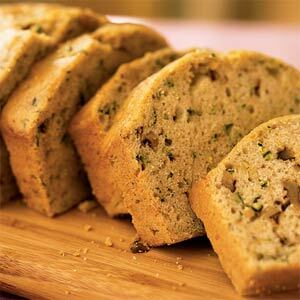 It has a mustard flavor to it with the dijon and the fresh parsley and shallots are a great touch. Another weekend waiting for our baby with lots of time to bake! As I near my due date (this Friday, May 11th) I was thinking I should bake something for the staff that will take care of my bundle of joy and myself. Since I work at the hospital I know that nurses and staff get a lot of sweet treats. While we all love them we also hate that they sit their tempting us to eat more all day so I pondered what I should make for longer than necessary. It would be way to typical for a dietitian to bring something like fresh fruit to say thanks. Plus that didn’t seem exciting enough so I tried something that I felt was a good half way point between a baked dessert and overly healthy option, healthy verison of muffins. It was my lucky day because I went to Cooking Light’s website and they had an article titled “Healthy Muffin Recipes” with 24 of their top choices. The first recipe that caught my eye was one I’ve featured on here before: blueberry and oatmeal muffins. Since I wanted to try something new I kept looking. Uw yum, then I saw sour cream and coffeecake muffins and got way to excited to realize I don’t have any sour cream on hand and I didn’t want to run out to the store again. I was still in luck as there were many more tasty looking options. I decided to try the Chocolate Chocolate Chip muffins for the sweet lovers. Myverdict: Very good and not dry for being a light recipe although I have to say that personally I’ve never been a chocolate muffin fan (I know shocking as I love everything else chocolate). I like hearty muffins and would prefer cake or a cupcake if I’m wanting a dose of chocolate but for those who like chocolate muffins this recipe was easy and turned out great. To give a good variety I decided to do a heartier muffin as well and chose the Banana Nut Muffins with Oatmeal Streusel. My verdict: very good flavor from the walnuts and bananas and the streusel gives a great touch to the top. I would definitely make these again. As my husband and I near my due date (12 days and counting) we don’t have many weekend plans. After an early night on Friday and nothing planned Saturday we decided to see if some friends wanted to come over for dinner. While we love down time we have had a lot lately so we figured why not host a little dinner gathering with Ryan’s best friends from high school. I was excited to have company since I’ve had a recipe for miso-ginger salmon from a friend I’ve been dying to have again and feature on my blog. To stick with the theme I decided to use other Asian flavors in my side dishes. The original salmon recipe is a Bobby Flay recipe called Miso-Ginger Marinated Grilled Salmon. Since it’s 46 degrees today I decided to bake it vs make Ryan stand in the cold to grill. I also subbed low sodium chicken broth for mirin as the recipe calls for. As for the complete meal…My favorite things to eat with salmon are brown rice and green beans (with a close tie for asparagus). To make it fit with my Asian themed dinner I sauteed the green beans with sesame oil then topped them with sesame seeds, salt and pepper. For our starch I made rice pilaf the way my mom taught me. This rice is a staple in our household and can be varied with herbs or vegetables for different flavors. When you are ready to cook the salmon put in a glass dish (or you can do what I did and use a shallow glass dish to marinade then you can use that to bake them). My husband and I love sauce so we actually left most of the marinade in the dish when baking to give more flavor and keep it moist. Cover and Bake at 375 for ~35-40 minutes. This recipe is very easy and measurements are flexible based on how many green beans you’re cooking. Heat a large saute pan to medium, lightly spray with cooking spray. Add green beans and let cook 4-5 minutes. Now, add 1-2 Tbsp Sesame oil and cover the pan to finish the cooking (use more or less based on how many green beans you have, you want them lightly coated). Cook for 5-10 more minutes depending on how crispy you like them. I like mine to have a crunch still so I only cooked them for a total of 10 or 12 minutes. Turn heat off and sprinkle with salt, pepper and sesame seeds. I’m so blessed to have a sister in law that I truly adore. Not only is she a great friend she is also a certified pastry chef (talk about amazing). I find myself yearning for her ability to bake without measuring and create such delicious items from scratch. Her creativity and intelligence are too good not to share.. I hope you enjoy her dishes and writing as much as I do. March is rough on the imagination. As the sun begins to peek out from 6 months of Seattle cloud oppression, I can’t help dreaming. Peaches! Raspberries! Rhubarb! Juicy, ripe morsels just waiting to be baked into slumps, tarts, and cobblers. Sadly, when I go to open my CSA box, all I see are more carrots, apples and potatoes. I think the box contents can sense my impatience. This week I decided to treat my produce to a farewell celebration. Instead of being roasted in olive oil yet again, these carrots cried out for a last hurrah. Inspired by my husband’s love of carrot cake, I tried my hand at a healthier, breakfast version. Most carrot cakes get their moist texture from a lot of oil, and their sweetness from sugar. These muffins use applesauce in place of oil, and I cut down on the sugar with the addition of pineapple. (The carrots didn’t mind taking a quick vacation to the tropics). You can use any blend of flour with this recipe. Personally, I like a half/half mix of King Arthur’s White Whole Wheat and All Purpose. For a denser, “healthier tasting” muffin, use more whole grain flour. For a lighter, fluffier muffin, All Purpose is the way to go. If you’re feeling a little bit naughty, these would be delicious with a smear of cream cheese frosting. Or just plain cream cheese. As is, they are a perfect way to start the day. The last bite of winter while we await the splendors of spring. *One of my guinea pigs wanted me to mention that they were so good, he didn’t realize when he took a big bite of wrapper. Enjoy! Preheat oven to 350. Line muffin tins with paper liners, spray lightly with cooking spray or butter. 1). Sift together flour, cinnamon, baking soda and salt in a small bowl. Set aside. 2). Using a Kitchen Aid or a hand held mixer, beat eggs, sugar and applesauce until pale yellow and creamy. 3). Mix vanilla into egg mixture. 4). Add flour mixture to eggs, being careful not to over mix. I mix this by hand. 5). Sprinkle extra tablespoon of flour over pineapple and carrots, coat evenly. 6). Add carrots and pineapple to batter, stir to incorporate. 7). Fill lined muffins tins with batter. I fill the tins completely; for smaller muffins, fill 3/4 of the way. 8). Bake for 15-18 minutes, until a tester comes out clean. Since I seem to be craving carbohydrates a lot during this pregnancy I decided to feature healthy ways to satisfy those cravings today on Twin Cities Live. Not only will you fill up on carbs, they will be the healthy kind and you will also get some servings of fruits and vegetables in with these three dishes. So, indulge away with this edamame garden salad, couscous salad with dried fruit or delicious whole wheat raspberry bar. I make the edamame salad a lot and can tell you it’s delicious. The couscous salad was a new recipe for me but I taste tested it last night. I really liked the spices they added to the couscous, it has a middle eastern taste with a sweet finish from the dried fruit. I am yet to try to raspberry bars but the smell has been taking over my house and I can’t wait to try one. I can only imagine how tasty they are! To find out what other pregnant woment think of the foods watch Twin Cities Live today on Channel 5 at 3pm. Here are the original recipes with my modifications in red. In a small bowl, combine olive oil, rice vinegar, lemon juice, garlic, salt, and black pepper; mix well and set aside. In a large bowl, combine remaining ingredients. Pour dressing over salad and toss until evenly coated. Refrigerate until ready to serve. Heat 1 tablespoon oil in a medium saucepan over medium-high heat. Add 3/4 cup onion; sauté 5 minutes or until tender. Add paprika and next 7 ingredients (paprika through allspice); cook 30 seconds, stirring constantly. Add broth; bring to a boil. Gradually stir in couscous. Remove from heat. Cover and let stand 5 minutes. Fluff couscous with a fork. Place couscous in a large bowl. Add 1 tablespoon oil, tomatoes, and remaining ingredients; toss well. Serve warm or at room temperature. To prepare crust: Preheat oven to 400°F. Coat an 8-inch-square baking pan with cooking spray. Place flour, pecans, 2 tablespoons sugar and salt in a food processor; process until the nuts are finely ground. 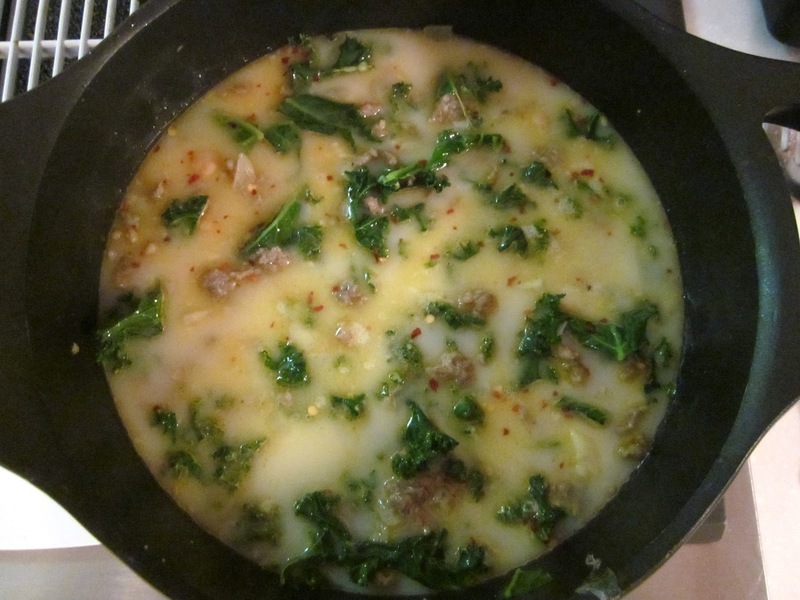 Add butter one piece at a time, pulsing once or twice after each addition, until incorporated. Add ice water and vanilla and pulse just until the dough starts to come together. Transfer to the prepared pan. Press evenly and firmly into the pan to form a bottom crust. Bake the crust until it looks set, but not browned, about 15 minutes. Let cool on a wire rack. 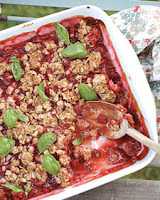 To prepare raspberry filling: Sprinkle gelatin over 2 tablespoons water in a small bowl; let stand, stirring once or twice, while you prepare the rest of the filling. Reserve 16 raspberries. Puree the remaining raspberries in a food processor until smooth. Transfer to a medium saucepan and stir in 1/2 cup sugar. Cook over medium heat until bubbling. Stir in the gelatin mixture and cook, stirring, until the gelatin is melted, about 1 minute. Fill a large bowl with ice water. Pour the raspberry mixture into a medium bowl and set it in the bowl of ice water. Refrigerate, stirring occasionally with a rubber spatula, until the mixture thickens to the consistency of loose jam and is beginning to set around the edges, about 30 minutes. Meanwhile, beat cream cheese, milk and confectioners’ sugar in a medium bowl with an electric mixer until smooth. Spread the thickened raspberry filling evenly over the crust. Dollop the cream cheese mixture over the filling. Draw the tip of a sharp knife or skewer through the two fillings to create a swirled effect. Nestle the reserved berries into the filling, evenly spacing them so each bar will be topped with a berry when cut. Refrigerate until the bars are completely set, about 3 hours. Cut into 16 bars, one raspberry per bar. Nutrition Per bar (serves 16): 101 calories; 5 g fat ( 2 g sat , 2 g mono ); 6 mg cholesterol; 14 g carbohydrates; 2 g protein; 2 g fiber; 94 mg sodium; 64 mg potassium. 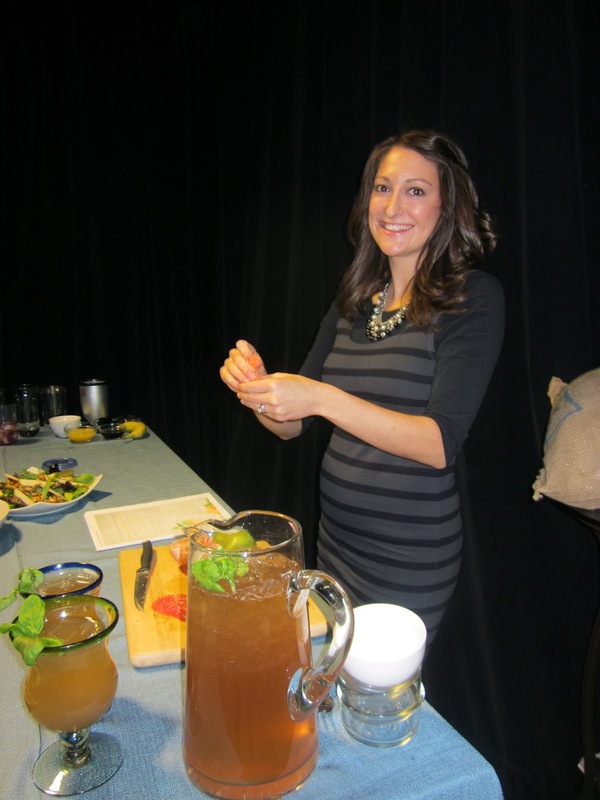 I am presenting my first cooking segment on Twin Cities Live tomorrow, Wednesday October 12th. I’m going to make two of the soups I’ve blogged about before: Roasted Tomato Basil Soup and Spicy Tuscan Soup. People often think of soup and picture cream based options. While these may taste good they are high in fat and calories. I’m going to show broth based soups that are healthy but still flavorful. -Don’t have a food mill, don’t worry. I used a food processor to blend the tomatoes and basil in the end. An immersion blender would also work. 1. Poke holes in the baked potatoes and microwave them for 6-8 minutes (until tender). Set aside to cool. 6. Simmer for 30 minutes and serve. What do you do with 12 tomato plants? Seeing bowls filled with fresh picked tomatoes from my garden makes me so excited to cook. My tomato supply is in peak season and I add about 6 more tomatoes to the bunch every 1-2 days, so what do I do with them all? For starters I eat 2-3 of them sliced up each day after work and was just telling my coworker I’m going to have withdrawals after my garden season is over. 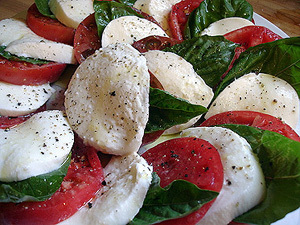 We also have enjoyed a few caprese salads thanks to my fresh supply of basil. I was hoping to try making homemade tomato juice this year to use for bloody mary’s during Badger games but I’m still debating this as I’d have to learn how to can (canning is still on my list of things to learn, for now I just make things I can freeze). There are still plenty of options to use up a lot of tomatoes. I love tomato basil soup but often can’t enjoy it since it’s made with (I’m lactose intolerant). 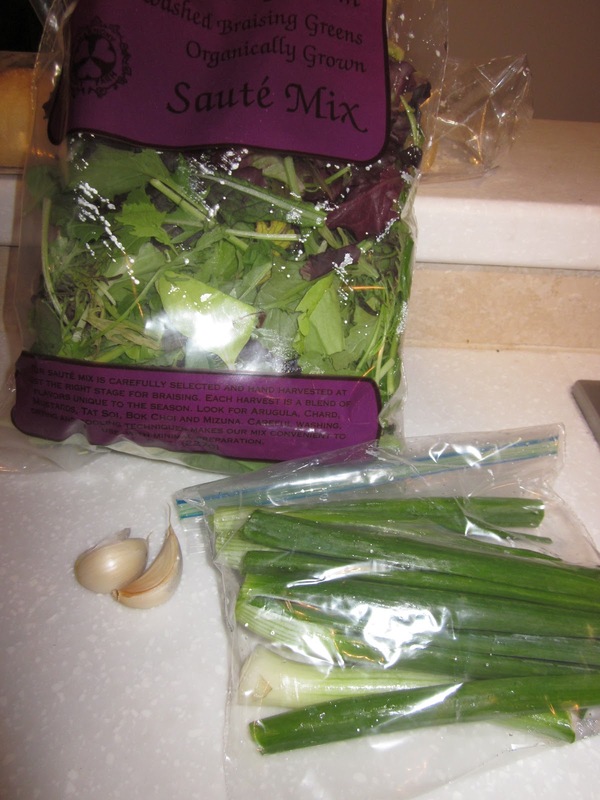 I found this great recipe that I made for dinner and froze in containers to eat this fall. I’m going to make another batch (this time with a small amount of milk) as well since it was so good. I love soup for lunch in the fall and this will be a great treat to remind me of summer. We had the soup with an amazing side chopped salad of refrigerator leftovers (chick peas, corn off the cob, feta cheese, cherry tomatoes, cucumbers and vinaigrette) and my favorite, Spotted Cow Beer. I’ve also made 4 large batches of fresh salsa so far this summer. I use a food processor when I make salsa since it’s much quicker than dicing. I don’t follow a recipe but I made sure to pay attention to what I added this time so I could share. Next, slice tomatoes in half and add them to the food processor. Hit the pulse button 10-13 times until it’s a good consistency for you. I used smaller tomatoes (around a roma size) and added 14 to this batch. Voila, you’re done and the outcome is a delicious homemade salsa to use with chips or tacos. This is my husbands favorite! Next up, homemade marinara sauce to freeze for the fall! My favorite breakfasts always contain eggs. They are a staple in our refrigerator and never make it to their expiration date. They are a great source of protein and keep you feeling satisfied for longer than most carbohydrate rich breakfasts. 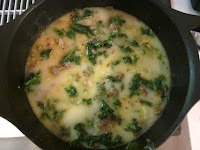 With Mother’s Day less than a week away I wanted to share a scrumptious egg bake dish perfect for a mid morning brunch. This delicious recipe comes from my childhood neighbor Patti. The original recipe is for a cheese and sausage egg bake but I am going to post a vegetarian variation I made last year when I hosted Mother’s Day brunch. It’s great for entertaining since you make it the night before. For another favorite egg dish check out January’s “weekend of food” post to see my poached eggs with manchego cheese, crushed red peppers and prosciutto breakfast. This months Cooking Light featured a series of spring pastas. While I love pasta with homemade marinara or bolognese sauces I also love the taste of an olive oil, lemon or other herb sauce and fresh vegetables or pancetta. A perfect dish for spring! To start off the series of spring pastas I made the Garganelli with Asparagus and Pecorino Cheese for dinner tonight since it was quick and I didn’t get home from yoga until late. Ever since I studied abroad in Italy I am obsessed with pecorino romano cheese. For those of you who haven’t tried it it’s a hard Italian cheese made out of sheep’s milk. It has a very sharp and slightly salty taste and is great for grating on dishes. Similar to a Parmigiano Reggiano but better! My grocery store didn’t have garganelli noodles so I used campanelle noodles. I’ve spent the past six days in Rosemary Beach, Florida with my husband and seven other great friends. During the time we were on vacation our lovely puppy got a vacation of her own running through the snow up north, eating pup cups and lots of cuddling by her grandparents. She’s still sleeping this evening from all the exercise (or depression of her parents coming back). As a small token of thanks I decided to bake something for my amazing in-laws to enjoy. I’ve done most of my usuals for them: muffins, scones and cookies so to change it up I decided to try making homemade granola. Knowing that a lot of granolas are loaded with fat and calories I went to my favorite resource to aim me in the right direction: Cooking Light. The best part about this recipe was I had all the ingredients in my cabinet (with the exception of almonds which I replaced with sunflower seeds). Of course I didn’t follow the recipe verbatim. I doubled the cinnamon and sprinkled in All Spice for extra flavor. This granola was filled with spice and crunch and would be perfect on yogurt or mixed into your morning cereal. Get out your togas because this month we’re going Greek. Rich and creamy are just two words to describe Greek yogurt, which is this months featured food. A few years ago Greek yogurt was a rarity on produce shelves but with the growing attention it’s gotten from health nuts it has gained popularity. Over the past year I’ve seen more brand available at supermarkets and more competitive prices. This calcium-loaded food contains healthy bacterial cultures that boast digestion benefits. Like traditional yogurt Greek style yogurt is made from fermented milk. It is then strained in cloth leaving a thicker product with the same sour taste. Some of the nutrition benefits are due to the increased concentration of Greek yogurt. It generally contains more live cultures and probiotics. In addition, Greek yogurt is higher in protein and lower in sugar than traditional yogurt and since it contains fewer carbohydrates it is also lower in lactose content (which is great for all of my fellow lactose intolerant readers out there). One 6-ounce container of Chobani nonfat Greek yogurt contains 140 calories and 14 grams of protein per serving which keep me feeling full and satisfied between breakfast and lunch. Greek yogurt is very versatile so think outside the container. It can be used as a base for dips, sauces or smoothies. Here’s what to know when you head to the stores. Look for a low fat or non-fat variety. The plain flavors tend to be best for dips and sauces and take on the flavor of the herbs or spices added. If you have children you may want to Chobani’s Champions that were developed just for kids. Each 3.5-ounce container contains 100 calories. Chobani Nonfat Greek Yogurt– Strawberry & Peach flavored or the 2% Fat Pineapple flavored variety (I have yet to see the 0% honey, black cherry or lemon flavors at my supermarket but can imagine I’ll like those too). **My husband and I both loved the flavor of the chicken. I can imagine it will be even better when we are able to make it on the grill. 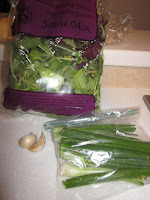 Mix onions and seasonings into the yogurt to your liking. It was delicious with potato chips! Sharing recipes is key to expanding your repertoire of cooking abilities. Five years ago I received a recipe that has become a staple in my kitchen. The recipe came from my best friend who got it from her mom who received it from her coworker and who knows where before that. The original recipe is for Cinnamon Chip Scones but once you know the basic recipe you can modify it to make different flavors. I’ve tried apple walnut, pear, dried cherries with white chocolate chips and butterscotch and another new variety this past weekend. Cinnamon Chip are still my favorite but it’s always fun to experiment. 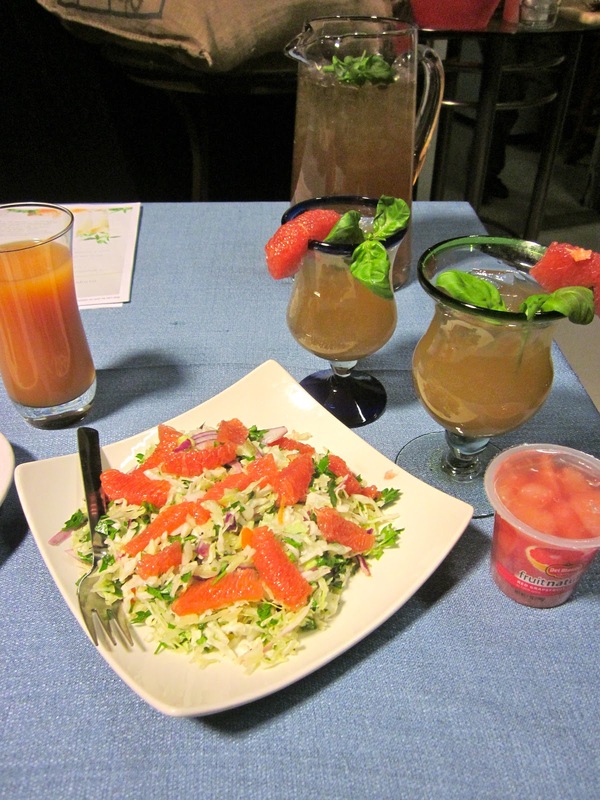 Its a recipe you know will satisfy and a popular recipe to share. I know I can say I’ve shared it with at least 10 people if not more! In a large bowl, combine flour, sugar, baking powder, baking soda and cinnamon. Cut in butter until the mixture resembles coarse crumbs. Combine yogurt and 1/4 cup milk in separate bowl, stir into crumb mixture just until moistened. On a greased baking sheet, pat the dough into a 9-10 inch circle. Cut into 8 wedges. Brush the top of each scone with the remaining two Tbsp of milk. This past weekend I attempted yet another flavor twist for a Pampered Chef party. Since the people attending were all interested in cooking I knew they would be adventurous so I went with one batch of traditional Cinnamon Chip Scones and a batch of Coconut Banana Chocolate Chip scones. Add 1 banana sliced, 1/2 cup chocolate chips and 1/2 cup of coconut in place of the cinnamon chips. The coldest week of the year is about to commence and this month’s whole grain, fiber-rich food will keep you warm and full. If you haven’t guessed it yet; the food of the month is oatmeal. Breakfast is the most important meal of the day and oatmeal is the perfect food to make morning eating easy, quick, savory and healthy at approximately 140 calories per cup. It’s a great source of soluble fiber which helps lower blood cholesterol and prevent heart disease so before you hit the snooze alarm read on to learn a variety of flavors and different ways to eat this delicious food. When it comes to a bowl of oatmeal there is something for everyone. You can choose from old fashioned, quick cooking or steel cut oats as your base. Next, consider what you are craving…crunchy, smooth, sweet??? For a crunch sprinkle in chopped walnuts, pecans or the Omega-3 rich flax seed. For smooth and savory flavors toss in a Tbsp of peanut or almond butter. To please that sweet tooth try fresh, frozen or dried fruit or try topping your oats with honey and ground cinnamon (it adds flavor without calories). The combinations for this breakfast dish are endless. Instant Oatmeal: Trader Joe’s Organic Instant Oats & Flax Oatmeal: A perfect combination of smooth oatmeal with flax seed to add crunch and a nutty flavor. Add ins: Frozen blueberries and soy milk: 3 ounces of soy milk added to my instant oats gives me a creamy cereal and the frozen blueberries are my go to in the winter (peaches and pears are also favorites of mine when they are in season). Coffee Shop Oatmeal: Caribou’s Plain Seven Grain Oatmeal made with Soy Milk: (with cinnamon and nutmeg on top): Caribou did it right with the addition of their morning hot cereals. Their oatmeal balances crunchy and smooth in one bowl. These pancakes are divine and remind me that whole grain pancakes can give just as big of cravings as the childhood pancakes my mom made. Even children will love this breakfast dish. Note to the cook: I recommend doubling the cinnamon or adding some nutmeg for more flavor. Lastly, to top the dish off I recommend my peach compote. Peach Compote: Add 1/2 cup of water and 1/4 cup sugar to a sauce pan and heat until the sugar is dissolved. Next, add 1-2 cups of frozen peaches and let simmer for 5-10 minutes or until peaches are soft. Lastly, add 1-2 Tbsp all purpose flour to help thicken the sauce. Enjoy on top of your oatmeal with maple syrup. I thought I would start a food of the month and what better way to start then with a warm meal for this cold month of December. Chili is one of my favorite things to make since I love spice, cilantro, soup, beans and vegetables and chili mixes all of that together. Chili can be a very healthy meal since it’s loaded with tomatoes, vegetables and beans. Try to avoid loading it with sour cream, cheese and chips. I usually add a small amount of light sour cream or I add a few slices of avocado and cilantro. One great thing about chili is you can serve it to almost anyone since you can make it vegetarian, gluten free or dairy free very easily. There are so many types of chili and I love trying new recipes. Since I love spice I usually end up adding extra jalapenos, chili peppers or chili powder then the recipes calls for. Here are a few I love. I hope you find them as tasty as I do. Let me know what you think! My husband made this recipe for a group of people coming over to watch football last winter. This Texas style chili packs flavor without beans. This was the first chili I can remember that I ate without beans. I really enjoyed the taste of the beef and flavor of the base. It was a great change up to how I usually think of chili. I love this recipe because it’s quick and easy. I’ve made it following the recipe exactly and I’ve also done it with the addition of bell peppers since I had them left over from my garden. This was the first chili I ever made and my go to for a few years before I started experimenting with new chili recipes. I still love the flavor of it and the fact that it’s a chicken chili without cream. The marinaded chicken adds a lot of flavor. Marinate the chicken in the Lawry’s marinade (for at least 30 minutes) and cut into chunks. In skillet add olive oil and brown chicken. Remove chicken from pan once cooked. In same pan saute onion, red and green peppers and garlic. In large pot add chricken broth, red and black beans and tomatos. Stir. Add chicken and 1/2 can of refried beans. Let simmer as desired. Ready when heated.